To build autonomy, create a ‘how web’. Find similarities – has something similar ever happened? What did you do then? What worked? 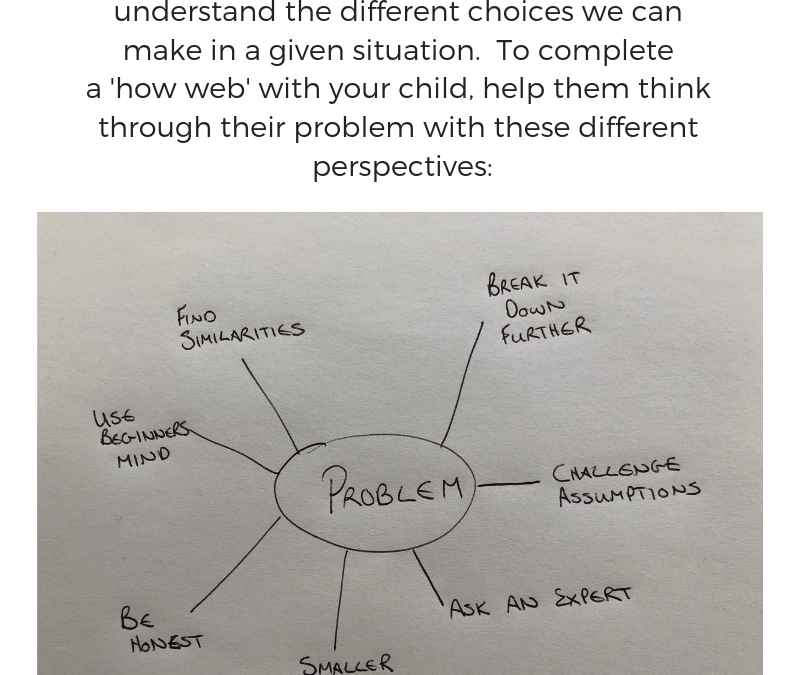 Break it down further – can the problem be broken down into smaller steps? What’s the first small action you could take? Challenge assumptions – is there anything I’m believing about this issue that may not be true? Ask an expert – who could help me with this? Beginner’s mind – can I clear my mind of everything I think I know and look at the problem from a beginner’s perspective? Be honest – what’s really bothering me? Are there feelings I’m not addressing or seeing? Set small goals – ask ‘what’s the hard part?’ to break what can seem like a big problem into something more manageable.